Bringing together leading authorities, this unique handbook reviews the breadth of current approaches for studying how people think, feel, and behave in everyday environments, rather than in the laboratory. 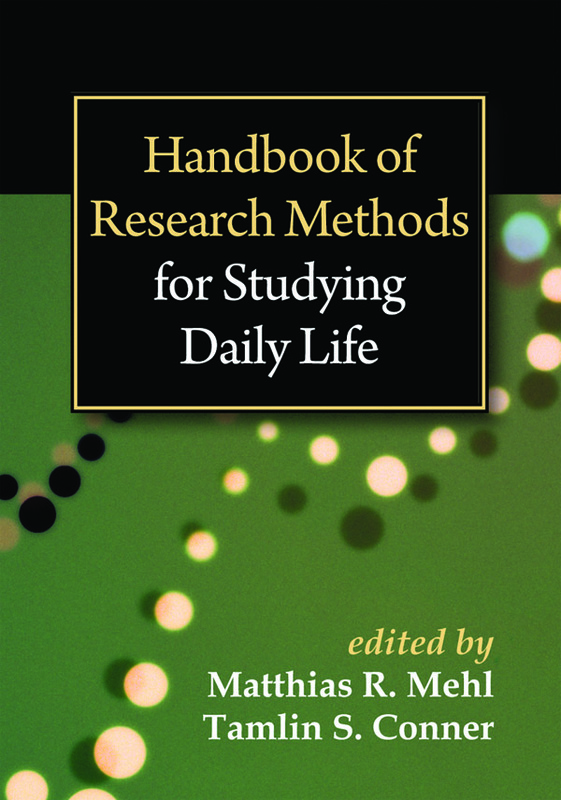 The volume thoroughly describes experience sampling methods, diary methods, physiological measures, and other self-report and non-self-report tools that allow for repeated, real-time measurement in natural settings. Practical guidance is provided to help the reader design a high-quality study, select and implement appropriate methods, and analyze the resulting data using cutting-edge statistical techniques. Applications across a wide range of psychological subfields and research areas are discussed in detail.